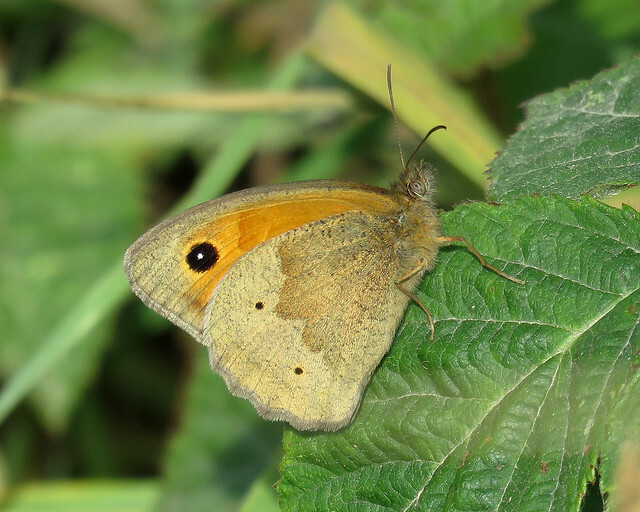 A sunny morning with still conditions, temperature reaching 25 degrees C. Not a great day for the smaller insects due to the heat, most hiding in the undergrowth to escape the sun. 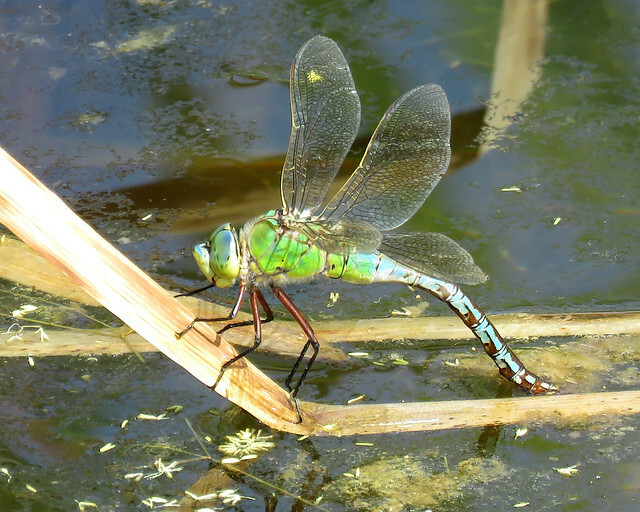 Dragonflies however were active around the Dragonfly Ponds with several Emperor Dragonfly Anax imperator present including an ovipositing female on the western pond. 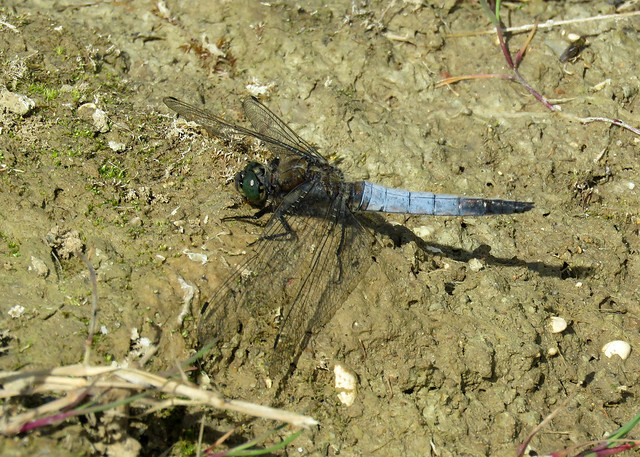 Good numbers of Black-tailed Skimmer Orthetrum cancellatum and Four-spotted Chaser Libellula quadrimaculata were present, including a praenublia form of the latter species, with the extended spots spreading across the wings. 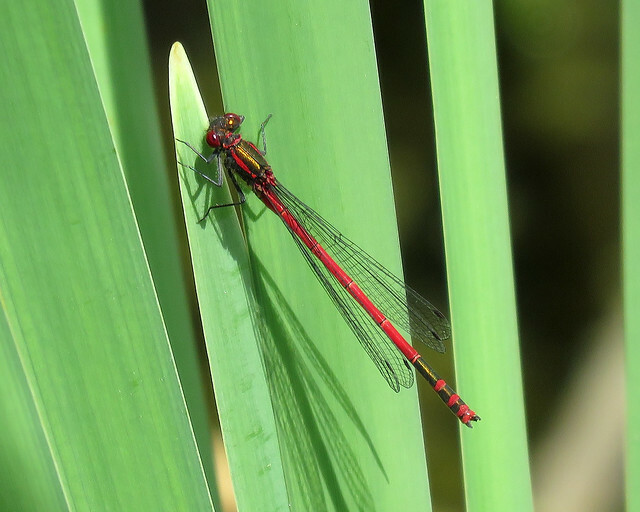 A single male Large Red Damselfly Pyrrhosoma nymphula was also still present around the ponds. 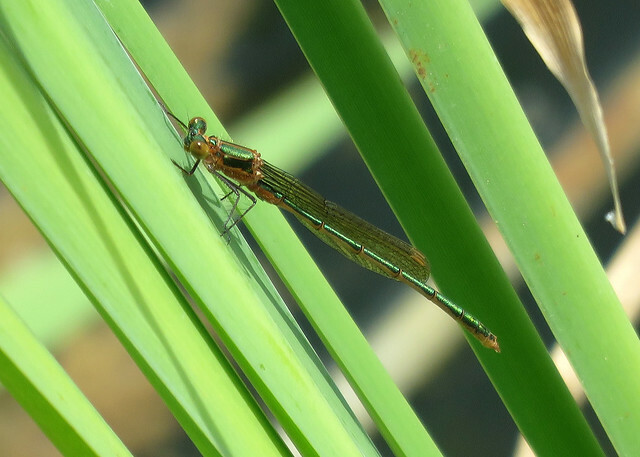 Several recently emerged Emerald Damselfly Lestes sponsa were in the long grasses on the south side of the western pond. 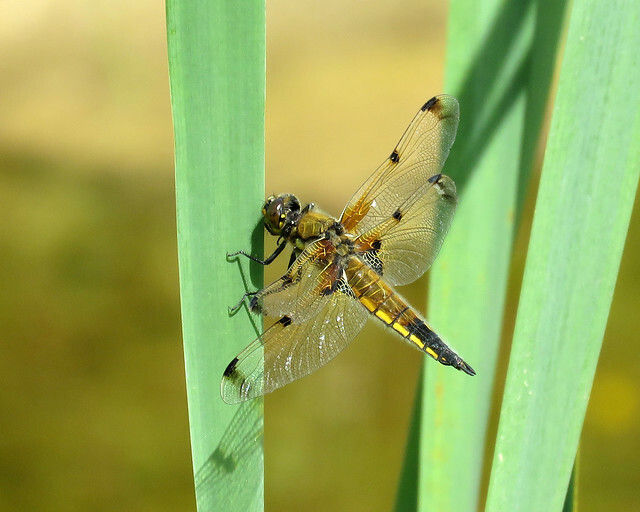 Still plenty of Common Darter Sympetrum striolatum emerging, many making their maiden flight. Azure Damselfly Coenagrion puella, Common Blue Damselfly Enallagma cyathigerum and Blue-tailed Damselfly Ischnura elegans were all present in good numbers. 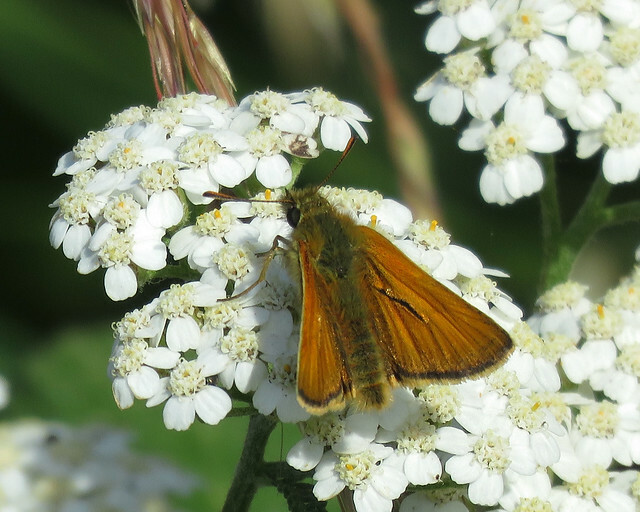 Seven species of Butterflies noted on this visit, full list detailed below, Small Skipper Thymelicus sylvestris being the latest addition to the year-list (NFY). 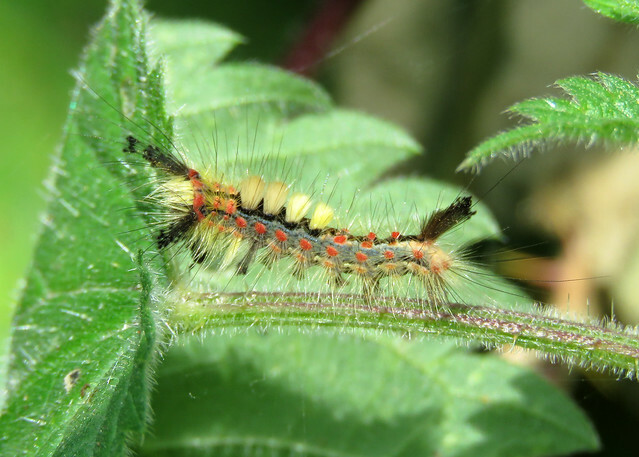 Also of interest was a Vapourer Orgyia antiqua (NFY) caterpillar found along the western path. 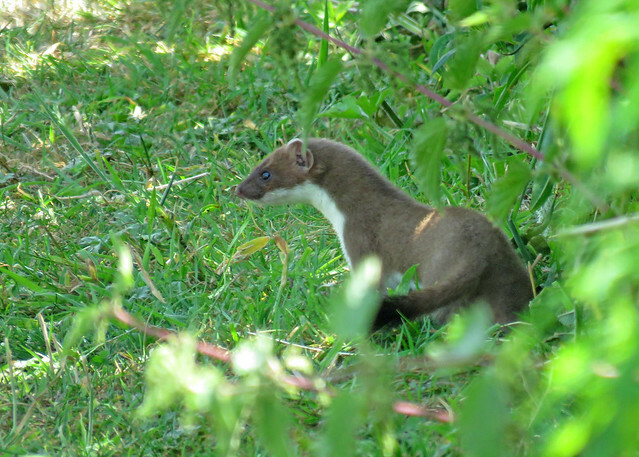 Nothing much else to report other than four Stoat Mustela erminea putting on an excellent display along the Northern Path.